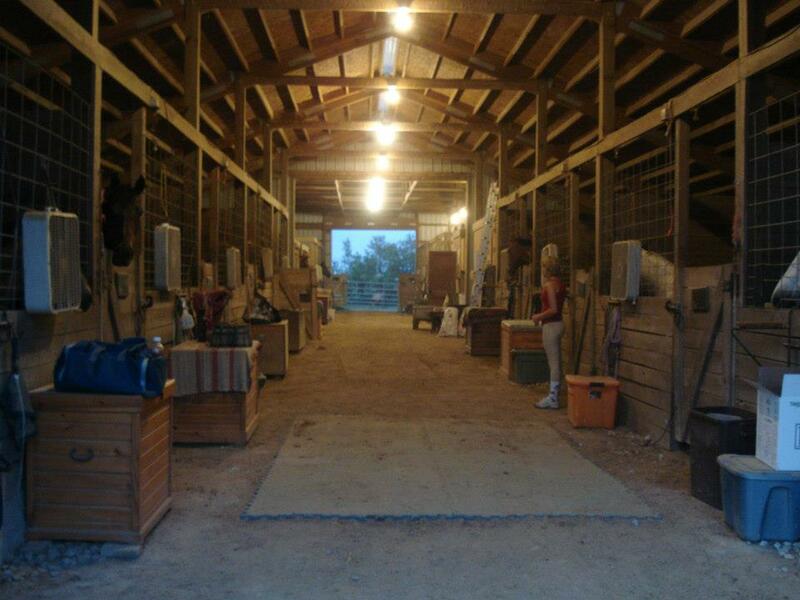 Clay Knob Farm offers a safe and fun environment for you to enjoy your horse. It is a medium size facility with 21 stalls. These are large 12 X 13 stalls and we offer DAILY stall cleaning. Horses are turned out every day, weather permitting, in large grass pastures. Run in sheds are available for those who prefer pasture board. A smaller paddock is available for horses recovering from injury and to acclimate newcomers to the farm. Hay is produced right on the farm, a forage first diet is provided for the animals. The hay is supplemented with StayStrong, which ensures a balanced diet and is even safe to give to fat ponies. To maintain weight on the OTTB's and other hard working horses who cannot maintain weight on hay, Moorglo is added to their diet. An additional fee may apply. CKF is happy to feed any supplements provided or supplements can be purchased here for addition to the feed. Preparing to leave for the show.